Tye Dillinger vs. Eric Young in a steel cage match is the main event of the NXT episode that airs tonight. NXT is also taping more shows at Full Sail University tonight, which will feature the build to TakeOver: Chicago. Daria Berenato and Macey Estrella both got new names at the tapings. Berenato is now known as "Sonya Deville" and Estrella's new name is "Lacey Evans." WWE aired an in memoriam graphic for Matt "Rosey" Anoa'i before SmackDown last night. After they moved over from Raw in the Superstar Shakeup, Primo and Epico were repackaged as "The Colons" on television this week. Matt Hardy tweeted about how WWE has treated The Hardys since their return: "The @WWE has been INCREDIBLY great to Nero & I upon our return. They've taken such good care of us & have been generous to our family time." WWE's Michelle Wilson is quoted in an AdWeek article about why companies are choosing to adopt streaming services. What Culture Pro Wrestling announced that Drew Galloway would defend his WCPW title in a 30-man Championship Rumble match at an iPPV on April 29th. His final date for the promotion will be the next day as he fulfills his commitments after re-signing with WWE. Continuing to add members of Los Ingobernables de Japon to the War of the Worlds tour, Ring of Honor announced SANADA and BUSHI for the four shows. Tetsuya Naito and EVIL were both previously announced for the tour. The stops are in Toronto on May 7th, Dearborn on the 10th, New York on the 12th, and Philadelphia on the 14th. Christopher Daniels will defend his ROH World Championship against Matt Taven on the show in Dearborn. In an interview with Sports Illustrated, Cody Rhodes said that he's going to make a decision about which promotion will be his regular home in pro wrestling soon. Bad Luck Fale spoke to Newshub in New Zealand about his career in NJPW and transitioning from rugby to pro wrestling. 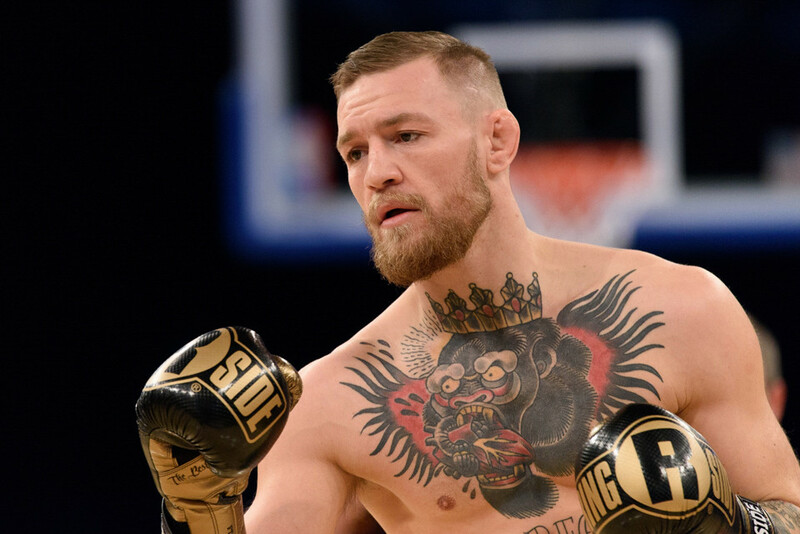 Dana White said on the Colin Cowherd show today that he expects to work out an agreement with Conor McGregor and his team on their side of the potential McGregor vs. Floyd Mayweather boxing superfight in the next couple of days. He'll then begin negotiating with Mayweather's side. White said that how much the fighters will get paid depends on how the pay-per-view sells, but estimated that Mayweather would make more than $100 million and McGregor would make $75 million. White was also interviewed by TMZ Sports about McGregor vs. Mayweather, saying that the fight will "probably" happen. Last Saturday's UFC on FOX show peaked at 2,874,000 viewers for the Demetrious Johnson vs. Wilson Reis main event and averaged 1,996,000 on final numbers. Michael Bisping claimed on his podcast that Robert Whittaker is a more worthy contender to his title than Yoel Romero. World Series of Fighting has rebranded as the "Professional Fighters League" and is moving to a format where there will be an initial season that begins in January 2018 and spans 10 months. Fighters will take part in three regular season fights, with a playoff after that for those with the best records.